Before setting up his current practice in Houston, attorney Craig Seldin established a private law firm where he served as a criminal defense attorney. 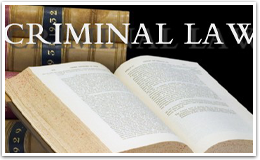 Having represented criminals since the late 70s, Seldin is very familiar with criminal law. If a person is charged with a felony or misdemeanor crime, many times they are guilty. However, our country has established laws that are meant to protect the confines of their consequences and make sure they receive a fair verdict. Every case has unique elements that may change the outcome of a criminal’s penalty. Seldin provides legal representation that is dedicated toward assessing all of those elements and making sure his client receives just treatment. Attorney Craig Seldin represents clients who face misdemeanor charges as well. A misdemeanor is considered less severe than a felony, but is sometimes subject to trial by jury if the conditions of the case are suitable. Although these types of crimes vary according to local government, they typically include acts like petty theft, vandalism and trespassing. While considering the above distinctions, it is important to recognize that some states are making changes to the felony/misdemeanor system. The Model Penal Code has given states a platform to vary crimes, such as first-degree crimes. At least 22 states have adopted a modified a form of this code. Attorneys determine the criminal act by addressing two principles: a guilty act and a guilty mind. How Does One Establish A Guilty Mind? While evidence of a guilty act is sometimes readily available, the mind of the criminal is a bit harder to determine. Attorneys will refer to elements such as recklessness, negligence, purpose and knowledge to ascertain the severity of the crime. The Law Offices of Craig Seldin, PLLC utilize extensive databases alongside a working knowledge of federal and Texas state laws. If you are seeking criminal defense, Craig Seldin legal representation is one to count on. Craig Seldin understands that your circumstances may prove difficult, but is willing to assess the nature of your case and, if necessary, follow it through to the end.